Finding Kat Heckenbach: One Week Until Realm Makers! One Week Until Realm Makers! In exactly one week I'll be heading up to Villanova University in Philadelphia for the Realm Makers writers conference. My experience last year was phenomenal, and it looks like this year will be even better. I know I've posted snippets here before about Realm Makers, so I'm going to keep this short and sweet. The sessions I'm teaching! I'll be teaching about writing for the YA market as a session on my own. I'm teaming up with Andrew Winch from Splickety Magazine to teach a session on science in fantasy writing. And I'll be participating on a panel about magic in fiction with several other authors. Yep, Professor Trelawney from Harry Potter. I've even got the crystal ball :). I will, of course, post pictures when I get back, and ya'll can tell me if I pulled it off! I can't believe this is all one week away!!! Oh, goodness! 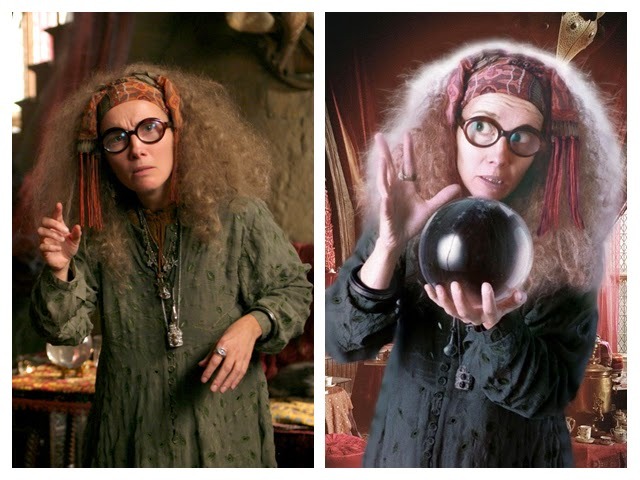 Love it :D Professor Trelawney is the best. Hope you have a blast at Realm Makers - I'm quite jealous!! Thanks, Ashley! Maybe you can make the next Realm Makers :).